The Water Infrastructure Improvement for the Nation Act (WIFIA) was signed to accelerate investment in the United States water infrastructure by providing long-term, low-cost supplemental loans for regionally and nationally significant projects. This $12B measure will provide a variety of opportunities to address our nation’s numerous water issues; with an urgent emphasis on those in California. Infocast’s California Water Summit will once again bring together a wide range of players in the California water arena, including cities, local municipalities, utilities and other commercial end-users, EPCS/developers, investors, financiers, technology, equipment and other solutions providers and other water stakeholders. Connect with industry leaders and network with key regulators in order to explore new opportunities in public funding available for water infrastructure, as well as review the new regulations governing the water usage. Sign up today to get the latest insights and lessons learned from successfully-funded water projects and determine how to maximize project fundability from both public and private water projects! Plus, be sure to attend the Pre-Summit Briefing: Developing Successful Water P3s to learn about critical elements of public-private partnerships essential to developing California’s much-needed water infrastructure. Interested in Speaking at our California Water Summit? Our intensive 1/2 Day Workshop will provide insights into creating P3s to develop California Water Infrastructure. The International Private Water Association (IPWA) was formed in 1999 to address the changing dynamics taking place in individual countries around the world within the context of the evolving water/wastewater infrastructure project and service arena. The Association serves as a conduit between the public and private sector players – facilitating effective timely dialogues that highlight the critical need for speed, transparency and cost-effectiveness in the development/operations of global water and wastewater projects, and the practical means for achieving those elements in projects. More importantly, IPWA is uniquely recognized as one of the few independent organizations that address, as a central part of its mission, the potential expanding and certainly evolving role of the private sector as a viable partner to governments and parastatals within the global water/wastewater project and service arena. 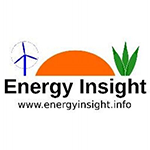 Energy Insight is an independent web journal focused on renewable energy in every form including solar, wind, biofuel, hydrokinetic, and geothermal power. Global Water Intelligence publishes newsletters and reports providing an analysis and strategic data on the international water market. Its flagship publication, the monthly industry journal Global Water Intelligence (GWI), has established itself as the market-leading publication for developers, suppliers, financiers, governments, utilities and municipalities seeking information and analysis on water projects with an element of private sector participation. GWI tracks the bidding status of all new desalination, re-use and public private partnership projects giving you a chance to get involved. Our locally based water and financial journalists bring you every month an in-depth analysis of the industry, market profiles or need to know news stories to keep your business ahead of the competition. If you want to find out more about GWI and our other market intelligence please visit www.globalwaterintel.com. You can sign-up for a free trial of Global Water Intelligence, Water Desalination Report or DesalData.com and read executive summaries of our latest reports. Industrial Hygiene News features products and services that help keep employees safe and the organization OSHA compliant. IHN informs and educates occupational safety and health professionals dealing with workplace safety, emergency response, indoor air quality as well as ergonomics issues. The Journal of Water (powered by Stratecon) has been in circulation since 2013 and is the successor to Water Strategist, which Stratecon published for 23 years. For a quarter century, water professionals have relied on us to provide unique insights on the key events shaping water policy. Journal of Water draws upon the team’s intellectual capital, decades of experience and specialized expertise in western water to report and analyze water prices and market trends throughout the west. With an eye on politics, law, policy, economics, hydrology and science, we scrutinize developments in Congress, state legislatures, courts and regulatory agencies to provide analysis on issues with a wide and lasting impact. We evaluate information critical for the management of water resources and provide it to our subscribers quarterly. Pollution Equipment News (PEN) is dedicated to informing environmental professionals of the latest offerings to facilitate pollution control for air, water, waste, and industrial processes. PEN features pollution abatement products and services, and testing and monitoring instruments for air, water, wastewater and hazardous waste. Current issues provide updates on government regulations from the EPA and relevant association news and updates all in one place. PEN covers the latest technologies with the most product introductions in the industry, and breaking news. The Water Network by AquaSPE AG is the largest online knowledge sharing platform and business exchange for global water professionals with members from 195 countries representing over 10,000 companies.